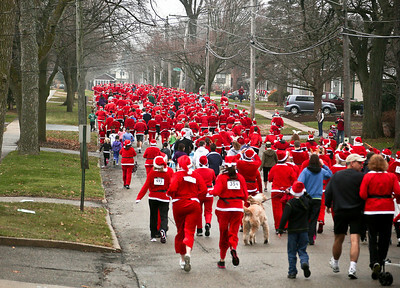 Josh Peckler - Jpeckler@shawmedia.com Runners dressed as Santa run down Williams Street in downtown Crystal Lake as the compete in the Santa Run-Walk for Kids in downtown Crystal Lake Sunday, December 2, 2012. Hundreds of runners dressed in Santa suits and reindeer antlers to raise money for children in Mchenry County. Josh Peckler - Jpeckler@shawmedia.com Keith Zuklke of Harvard breaths heavily after running in the Santa Run-Walk 5K for Kids in downtown Crystal Lake Sunday, December 2, 2012. 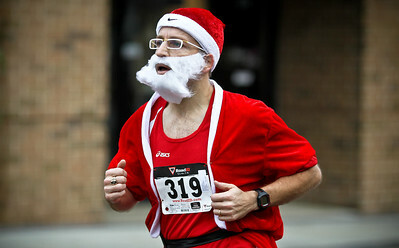 Hundreds of runners dressed in Santa suits and reindeer antlers to raise money for children in Mchenry County. 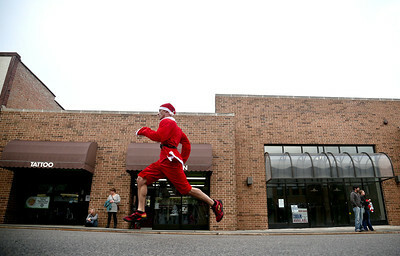 Josh Peckler - Jpeckler@shawmedia.com A runner dressed as Santa competes in the Santa Run-Walk 5K for Kids in downtown Crystal Lake Sunday, December 2, 2012. 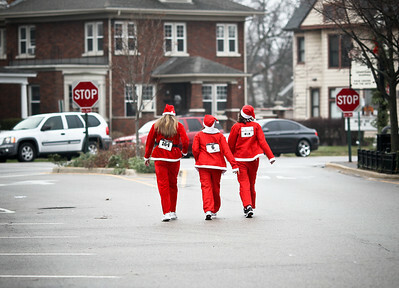 Hundreds of runners dressed in Santa suits and reindeer antlers to raise money for children in Mchenry County. Josh Peckler - Jpeckler@shawmedia.com Angelica Hill, 3 watches as runner compete in the Santa Run-Walk 5K for Kids in downtown Crystal Lake Sunday, December 2, 2012. Hundreds of runners dressed in Santa suits and reindeer antlers to raise money for children in Mchenry County. 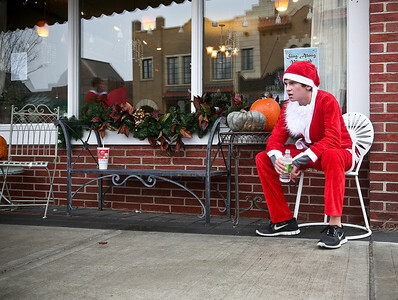 Josh Peckler - Jpeckler@shawmedia.com Joey Dorn, 14 of Crystal Lake takes a break on a chair after running in the Santa Run-Walk 5K for Kids in downtown Crystal Lake Sunday, December 2, 2012. Hundreds of runners dressed in Santa suits and reindeer antlers to raise money for children in Mchenry County. Josh Peckler - Jpeckler@shawmedia.com Steve Romer of Woodstock runs during in the Santa Run-Walk 5K for Kids in downtown Crystal Lake Sunday, December 2, 2012. Hundreds of runners dressed in Santa suits and reindeer antlers to raise money for children in Mchenry County. 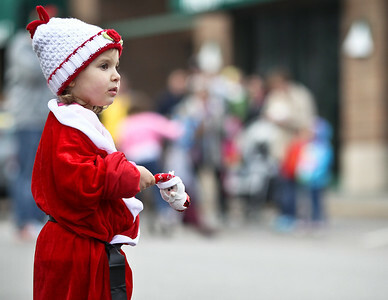 Josh Peckler - Jpeckler@shawmedia.com Women dressed as Santa walk down Williams Street in Downtown Crystal Lake after running in the Santa Run-Walk 5K for Kids in downtown Crystal Lake Sunday, December 2, 2012. 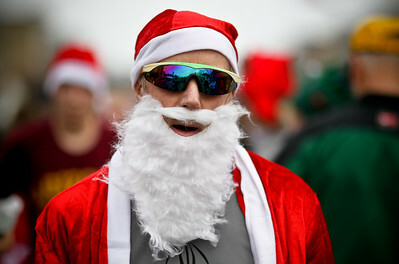 Hundreds of runners dressed in Santa suits and reindeer antlers to raise money for children in Mchenry County.